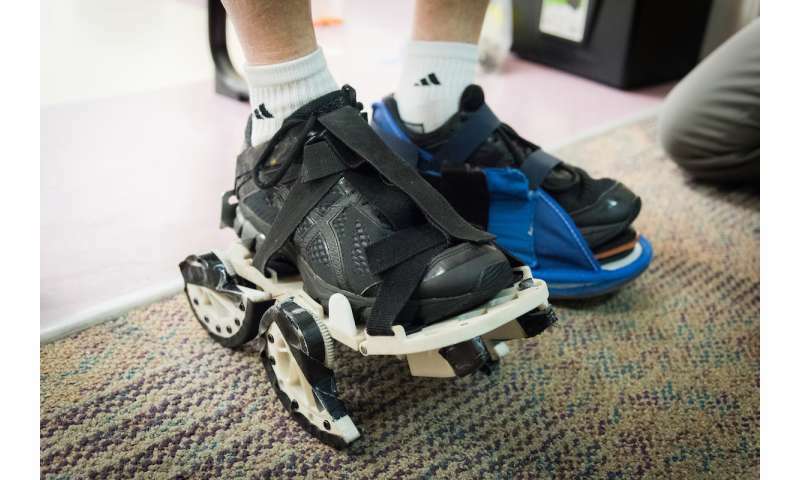 Called the Gait Enhancing Mobile Shoe (GEMS), the shoe attachment is the result of multidisciplinary work and expertise in USF's engineering, physical therapy, and neurology programs. "This is early in the process but we're seeing the benefits we expected so it's very promising," said Kyle Reed, PhD, associate professor in the Department of Mechanical Engineering in the USF College of Engineering and principal investigator for the preliminary study on GEMS. "We really want to help people who are limited in their walking ability to improve enough so they can return to the activities of their daily lives. The long-term hope is that this shoe attachment could be less expensive and safe enough that, once trained on how to use it, patients could take the GEMS home for therapy." 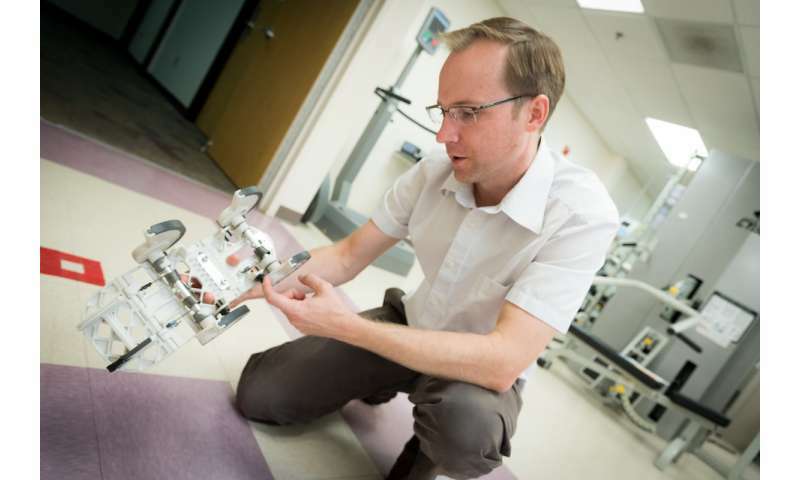 "Many stroke patients are devastated that their ability to walk on their own can be so limited, even around their own homes," Dr. Rose said. "Early data for the GEMS is very promising and the next phases of study will really help us see its true potential." Many stroke patients develop an asymmetric gait because of damage to their central nervous system, resulting in difficulty moving their affected leg – they can't extend their foot backward enough, which prevents natural pushing off into the swing phase experienced in an unaffected walk. Typical stroke rehabilitation to improve gait symmetry involves using a split-belt treadmill that offers two independent belts operating at different speeds to exaggerate the asymmetry of the patient's gait. 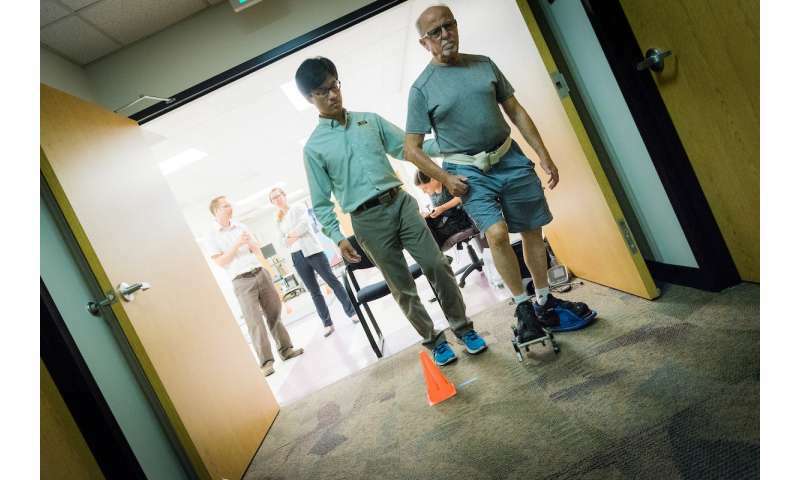 While generally successful for improving stroke patients' gaits, the split-belt treadmill is expensive, requires a dedicated space to house and a qualified staff to monitor sessions and, because of after effect, can require more time for patients to master the correction, said Seok Hun Kim, PT, PhD, associate professor in the School of Physical Therapy and Rehabilitation Sciences in the USF Health Morsani College of Medicine. "The GEMS allows movement across any safe surface, thus 'rewiring' the brain to learn the new compensation technique for everyday walking, not just for when they are on the treadmill," Dr. Kim said. "The GEMS is generally worn on the unaffected side, helping the patient use their affected side to compensate for the irregular footing."